Online auctions are a great way to bag a bargain and save money. They are also ideal to sell things that you no longer have a use for or goods that you want to make money from as a business. This article will guide the internet user through buying and trading, weighing up pros and cons and offering advice. Most websites will allow you to register at no cost. Rarely will they charge you a join up fee. 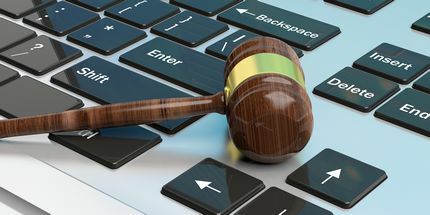 Most free online auctions will make their money from advertising or will charge a listing fee and a small percentage of the sale. Some, like eBay , have free listing days where such fees are not charged for the day, or are at a reduced fee, like 5p or 10p per item. There are even some for cars where on normal days they can run into several pounds to list. There should not be a charge for buying. Do be wary though of those who try and charge you excess fees if you choose to pay by credit card or PayPal this is against most terms and conditions and sites like eBay actively encourage users to report people making such illegal charges. They should not charge you an excess amount for postage and packaging and these should be clearly explained in the listing. Some, like Swapit, offer free delivery to the person who successfully wins with their points. There is more about them further below. Those selling can help reduce postage and packaging costs by recycling padded envelopes and bubble wrap or buying these in bulk at discounted retailers. Do mention this in your listing and pass the discount onto your buyer. They may well choose you over another because your postage costs are cheaper. These costs can be added to your expense sheets if you are selling for profit to reduce your tax costs. If you do sell goods that you either make or buy to trade then this is classed as a business and you are liable to pay Income Tax and National Insurance. However if you are clearing out your loft, cupboards or garage of your own belongings like old books, CDs, DVDs, clothes, etc then you will not have to pay tax or NI. Your local Tax Office can give you more information about Income Tax. So you may have joined online auction sites by now and had a good look round. So now let's share some tips. If you are looking for a bargain then look at the closing soon section. These listings usually finish within a few minutes and you can bid last minute for some great bargains. Do try and avoid getting into a bidding war though where if you are outbid you feel you need to keep bidding to win, no matter what the price is. Winning isn't everything and a bidding war will lose you money and your bargain may have just cost you more than you would have paid in a shop. So do check out the prices on the net and set your limit. But just like a game of poker do not reveal your cards just yet. Bid last minute for your lots or set a spend limit into the auction website software. There is special programmes you can download and use to automatically bid at the last moment on your behalf. These can be set as soon as they go live and will remember your settings 3, 7 or 10 days later or can be set on the day. Do check the delivery costs and country of origin when you buy. For example make sure it is a UK seller or can send to the US etc. Weigh your item, in its packaging, at the Post Office and state these costs in your listing. Get quotes for delivery charges from courier firms. Their prices may work out cheaper than the PO, though you may have to weigh up the cost of mileage and petrol to the courier firm, though some will pick up from your home for an additional small charge. Check the payment method is one you can use, eg if they only accept paypal do sign up for an account beforehand. This has the added advantage of being able to pay by credit card and have money paid into your bank account from your own sales. Use a password that is hard to guess using a mixture of random numbers and letters. Photographs can help an item secure a higher price. Take your own rather than use stock photos. A unique one will make it look more realistic and feel honest, which buyers will appreciate. Read the feedback points and comments of the buyer and view the feedback left to him or her by other buyers. Positive comments will give you reassurance that you will get your purchases. You may wish to avoid a user with many negative comments, though you can message or e-mail to discuss any concerns you have. If you plan to sell at auctions for profit or as a full time trading job then buy many small low cost items or sell household items. This will increase your feedback score and rating and give people a chance to see how quickly you send or pay for items. Other internet auction users like to buy from other users that have a high feedback score. Some will only trade with those who have a feedback score above 100 because they know they are honest and experienced. Do send your items as soon as payments have been secured or pay for items as soon as you have successfully won. Keep in touch by e-mail or telephone. They are more likely to want to leave you positive feedback and it will give them assurance that their item or payment will get to them. If a buyer wants to pay you by cheque, ask him or her to write their name, address, and cheque guarantee card on the back. Cash it and wait for about 7 days before sending the sold items. Then if it should bounce because it is stolen or there are insufficient funds in the buyers account then you have not lost any items or money. A refund of any fees can be requested in these sort of instances. You can also sell it to the next highest bidder and explain the situation to them. This is known as second chance. Post items by recorded delivery or ask for a proof of purchase so that you can claim for any missing parcels from the Post Office or courier. These small costs can either be met by yourself or passed onto the buyer if mentioned in the listing. The cost of recorded delivery is only about 65 pence and gives you insurance against any losses or damage. If you are using a public computer do remember to sign out - you'd be surprised at the number of people who forget and therefore give access to their account to strangers. The most popular auction site is eBay the marketplace which costs nothing to join and is easy and clear to use. It has many tools to help such as eBay toolbar, protection and feedback. Ebay has easy to follow guides and offers support. One that involves no money is Swapit which youngsters and also adults with children can also join. When you sell something or take part in their surveys and competitions you get Swapit points which you then use to buy items. The person swapping the item will send it to the swapitshop team so no-one on the site will know your address and all members use a nickname so that names are never revealed. This is a safe site for children to swap the stuff they no longer want and to get stuff they do. AuctionAir is a sealed bid website where you can bid for high value lots like TVs, laptops, iPods, digital cameras, watches, flights, holidays, weekend breaks, etc. They are sealed and unique and no one will be able to see them until the end. Reverse Auctions are slightly different to normal ones because the lowest unique bidder will win the lot. Most people will bid a penny but remember it is the lowest and unique bid that will win so most are won by people who tend to bid over £1 and aim for a unique value. They tend to attract many bidders so the lots are usually high value items like a Plasma TV, sports car like a Porsche Boxster, PS3, etc. They normally make a charge per bid to cover the cost of the lot and make the company a profit for running it. However bidders can successfully win through good fortune whilst having some fun. An example is Million-2-1 where a £125,000 Ferrari was sold for just £123.82! The winner only paid £1.50 to place that winning bid. Quite a good return! There are a few cons and sadly conmen and women frequent them in the hope of scamming people. The commonest con involves them buying an item, sending you a cheque for an over inflated amount and asking you to wire transfer or send by cheque the difference. These cheques they send you are either stolen or will bounce. In the meantime if you have wire transferred or sent a cheque for the balance then this will be cashed by the crook and people find it impossible or really difficult to trace the money and get a refund. People have been reported for fraud even though they are the innocent victims of this internet auction scam. They have also lost the item to the villain. This is known as a Nigerian Scam because it originated from Nigeria and many fraudsters still do seem to come from this country. Another is phishing and pharming attempts to get your account details so that crooks can access your bank details. These are e-mails sent to you that will look like they come from a popular auction site or from paypal. Sometimes they are easier to spot from spelling and grammar errors. Other times they look like a genuine e-mail. Do be wary of these because if you reply or click the link then you will be taken to a mock site that asks you to type in your password and username. This is then captured by the scammer who can then access your account. There is more written about these on the how to avoid internet scams page. Follow that advice to avoid such scams and make your experience much safer. But do not let these put you off, they are a great way to make money by selling and there are many savings and bargains to be made for buyers.